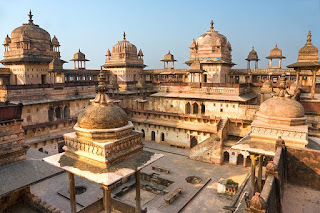 Orchha (or Urchha) is a town in Tikamgarh district of Madhya Pradesh state, India. 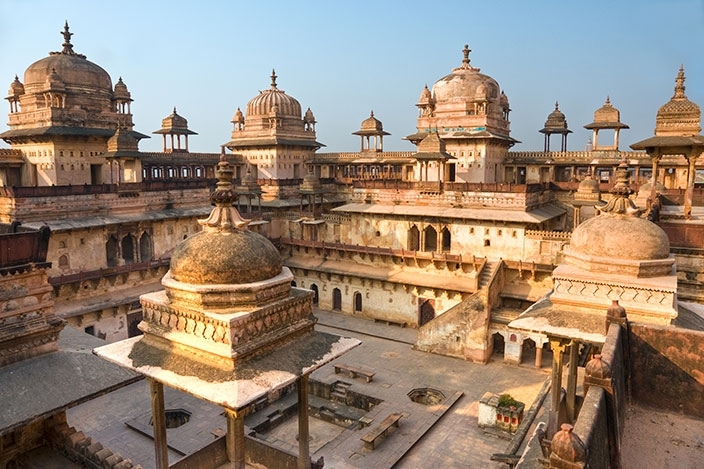 Orchha lies on the Betwa River, 80 km from Tikamgarh & 15 km from Jhansi in Uttar Pradesh. Orchha was founded in the 16th century AD by the Bundela Rajput chief, Rudra Pratap Singh, who became the first King of Orchha, (r. 1501-1531) and also built the Fort of Orchha. 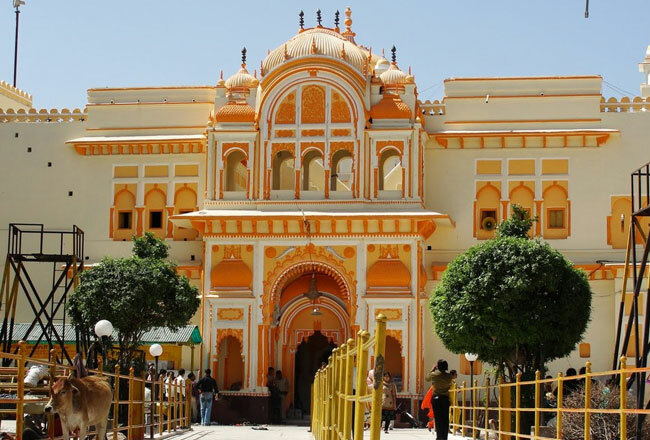 The Chaturbhuj Temple was built during the reign of Emperor Akbar, by the Queen of Orchha Ganeshi Bai, while Raj Mandir was built by 'Madhukar Shah' during his reign, 1554 to 1591. The Jahangir Mahal is built on a rectangular base and is relieved by a circular tower at each corner surmounted by a dome, while two lines of graceful balconies supported on brackets mark the central storeys. The roof is crowned by eight large fluted domes, with smaller domes between them, connected by an ornamental balustrade. The Jahangir Mahal is considered to be a singularly beautiful specimen of Mughal architecture. 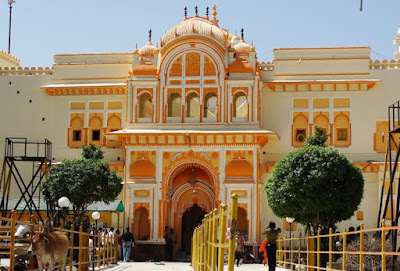 The Ram Raja Temple is built on a square base and has an almost entirely plain exterior, relieved by projecting windows and a line of delicate domes along the summit. A visit to this ancient capital of Bundelkhand is a peaceful place ‘far from the madding crowd'.